First of all, I wanted to thank everyone that joined The Pickiest Eater in The World's Giveaway #2! We had over 100 entries.. which I think is impressive considering its a small restaurant with only one location.. in the South of all places! I think it's a testament to great word of mouth that the restaurant has been getting.. The quality of its food speaks for itself! Thank you to Crystal Tremblay and her family for providing us with the GC's to make this Giveaway possible! 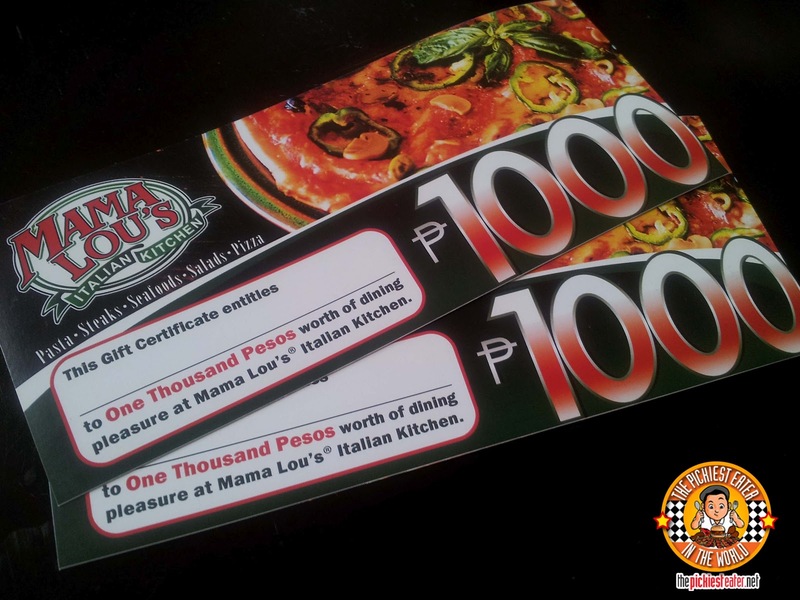 I'll definitely be seeing you soon, whether it's at Mercato Centrale, Soderno, or at the Mama Lou's Italian Kitchen restaurant itself! I double checked her entry, and thankfully, she followed all instructions correctly, so Lheen wins THE PICKIEST EATER'S ANNIVERSARY GIVEAWAY #2! Lheen, I will be emailing you within the next few days to coordinate how to get you your GC's! 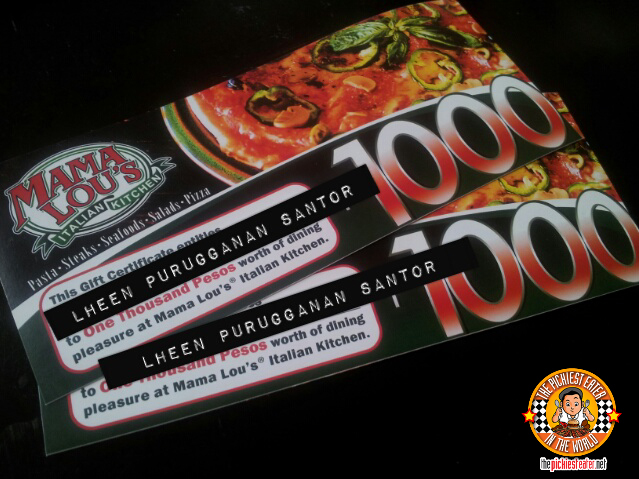 To everyone else who isn't named Lheen Purugganan Santor, I do still hope you visit Mama Lou's Italian Kitchen, because their food is phenomenal, and will undoubtedly be money well spent. 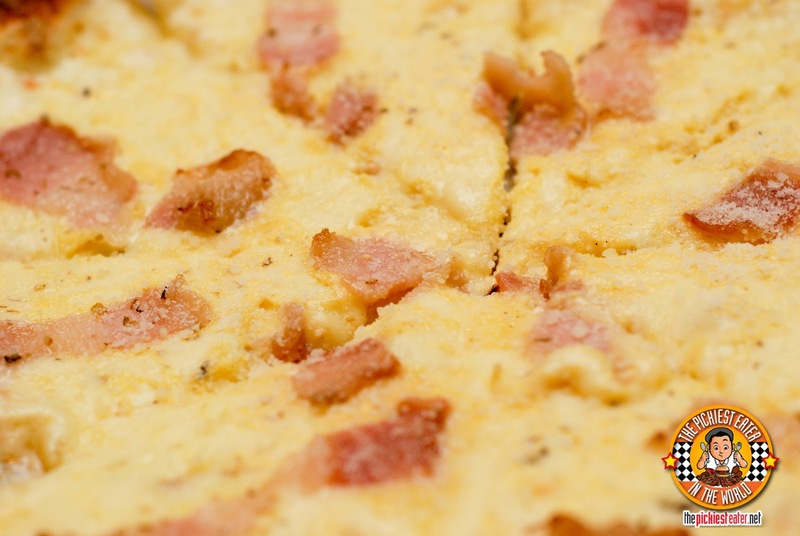 Just gaze into this picture of their Carbonara Pizza and you will know what I say is true. 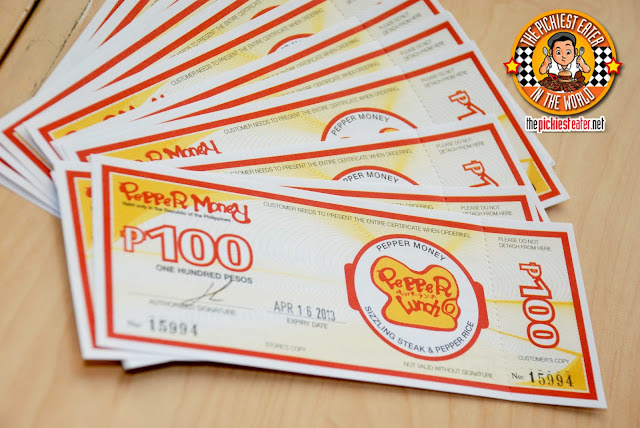 For those of you who didn't win, fear not for we still have a few more GIVEAWAYS lined up for you, including our ongoing one from none other than Rina's favorite pig out spot, PEPPER LUNCH!! 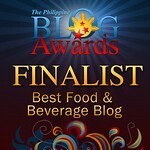 By tomorrow, I'm going to be revealing The Pickiest Eater In The World's Giveaway #4! THREE PEOPLE WILL WIN PEPPER MONEY FROM PEPPER LUNCH! HELP ME BECOME THE OFFICIAL BLOGGER AMBASSADOREO! I'VE LANDED ON PANCIT PLANET!